I love the worn look of the door and the ladder. This was my grandfather’s barn and is now my father’s. I climbed this ladder many times, for many reasons. 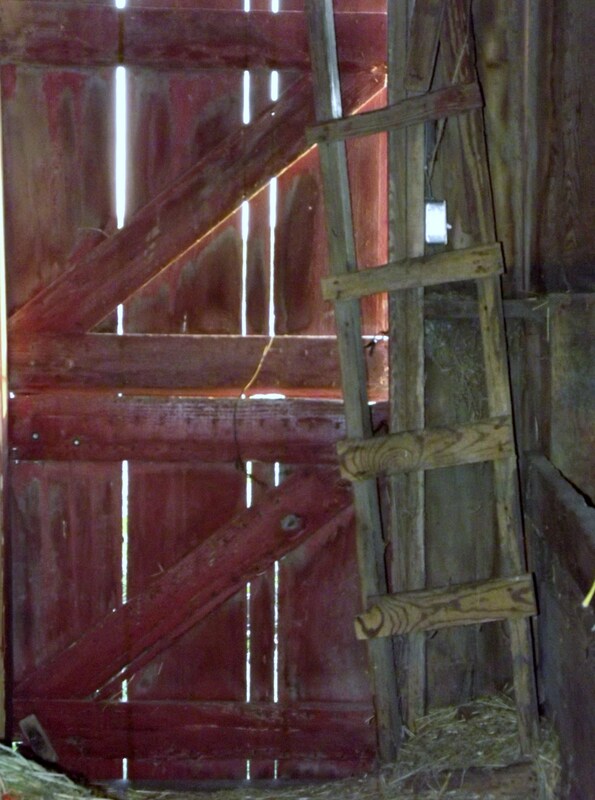 It leads to the hayloft. The first obvious reason was to help put the hay up after it had been baled. Another reason was that the hayloft made an excellent place to hide during a game of hide and seek. It made a great spot for a fun game of tag. There was a pulley up to the 30 foot tall ceiling that my brother and I used to pull each other up on. I climbed this ladder to get a bale down for our bucket calves, or for the cows. This image reminds me of how pure and innocent playtime is for a child. My brother and I used to show this “passage” into our marvelous play spot with pride, and were the envy of many of our friends. Life was simple and fun. I have recently been hearing about extremely costly gifts given to children by their parents at Christmastime, and I’m reminded by this photo that children need only their imagination, some energy, and the outdoors to create their own fun. This photo can be found for purchase on my etsy shop!